I just finished reading the latest annual issue. It had a few surprises. Besides for a several paragraph to 1-2 pages on the major navies, it had chapters devoted to the Canadian, Singapore and Peruvian navies. While they normally have chapters devoted to several ship classes, because of which ones they chose this year, there are only two. The USN Ford-class CVN and RN QE-class Carriers. Here are a few of the tidbits I got out of it. China is really increasing its fleet and seems to be getting the hang of operating a carrier. The Kuznetsov is probably finished and the Shtorm carrier and Lider destroyer probably won't be started for quite a few years, due to financial issues. While the Ford had a layered organic defense of ESSM, RAM and Phalanx, the QE only has the Phalanx. This, in spite of the fact that the Ford will have much better and more numerous AAW assets surrounding it. Two Darings have 96 AA missiles while a standard USN CBG will have a minimum of 314, depending on loadout. ASROC and Tomahawks will decrease it, but could be more than made up by quad packed ESSMs. The US group will also have much greater air assets. Sea Ceptor, in service since May 2018, is an easy fit on the Carriers apparently. It can also replace the Asters in the Type 45 at a ratio of 4:1. Whether that means either class will be fitted with them in the short term I doubt. That was actually something that they touched on. The Brits build ships able to carry more weapons, but don't actually buy them right away It's always referred to as "for, but not with". I have seen no reference to compatability with the Aster VLS. Do you have one? Last edited by johns624; 21 Jan 19, 07:49. 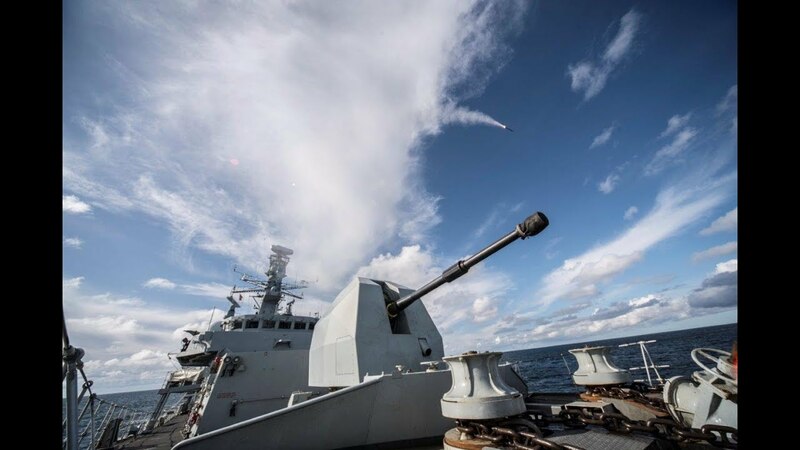 "The weapon system can be easily retrofitted into a wide range of platforms, ranging from 50m OPVs to frigates and destroyers. Two main features provide this flexibility. Firstly, the use of “soft-launch” weapon technology for a highly scaleable and compact launch system that can easily be installed in a number of locations. Secondly, Sea Ceptor can be targeted from the ship’s existing surveillance radar sensors and therefore does not require dedicated fire control radars. Sea Ceptor will operate from the SYLVER and Mk41 launchers using a quad-pack configuration, various flexible canister configurations are also available. The Soft Vertical Launch technology reduces system mass and eases installation." Thank you! I missed that. All times are GMT-5. This page was generated at 05:47.